Life is too short to kiss arse. 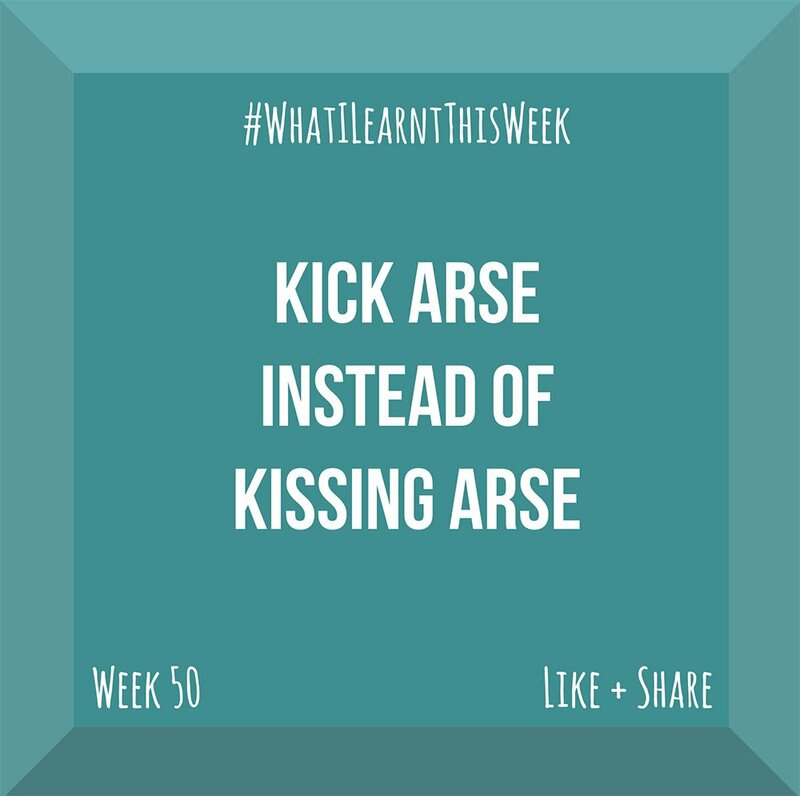 According to Wikitionary kiss arse = To flatter or perform favours excessively, especially to receive preferential treatment from a boss or other superior. There is a huge difference between being kind and polite and kissing arse. Some people want to get ahead by sucking up to the rich and powerful people in their circle. This is sad to watch and it seldom works. Most people who are truly powerful don’t respect kiss arses. They want to be treated the same as everyone else. If someone does respond to kiss arserery they are probably a massive douche and you shouldn’t want their approval. Instead of investing all of your energy into sucking up to the “right people” why not put that same energy into being freaking awesome. Send your time and energy kicking arse. Be the best you can be. Strive harder. Run further. Work harder. Be the best you possible. The right people will notice at the right time and you will get ahead if you keep working hard enough. Think of how satisfying it would be to get to where you want on your own merits instead of by sucking up to some smarmy git. This does not mean that you can’t get help or favours from friends and influencers along the way, but they should want to help you because of your hard work + tenacity + mad skills + desire to succeed + abilities rather than because you kissed their arse. So, the next time you find yourself pursuing your lips ready for a good arse kissing… question your own skills and choose to work hard on yourself and your projects instead of sucking up for preferential treatment. The win will be so much sweeter.